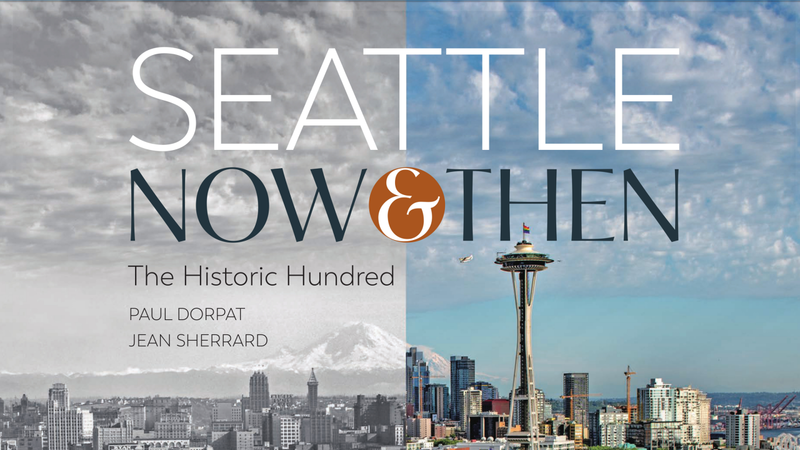 Join the MOHAI Store for an author talk and book signing with Paul Dorpat and Jean Sherrard, author and photographer of the new coffee-table compilation titled Seattle Now and Then: The Historic Hundred. Paul Dorpat has written more than 1,800 “Now & Then” columns for The Seattle Times over 36 years, and this book is the ultimate collection of dramatic images highlighting the city’s growth. It explores the city’s regrades, bridges, thoroughfares, and countless Seattle landmarks. The Great Seattle Fire, the Gold Rush, Pike Place Market, the 1909 Alaska-Yukon-Pacific Exposition, and the 1962 Seattle World’s Fair get attention, as do breathtaking panoramas, all in a size and clarity rarely seen.